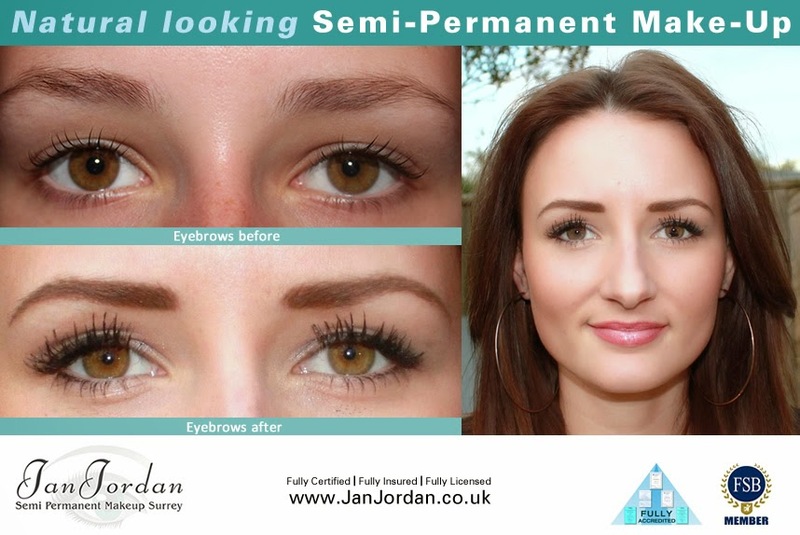 What is Semi-Permanent Make-up and Micropigmentation? Micropigmentation, or SEMI-PERMANENT MAKE-UP, is a tattoo process that delivers organic pigment into the epidermal layers and the first "Reticular" dermal layer of the skin using very fine needles. The treatment is semi permanent because we all, eventually, shed our epidermal skin layers, leaving a faint trace of pigment in the reticular layer. People shed the epidermal layers at different rates, meaning that fading of colour varies from person to person. The colour of the tattooed area will seem darker than expected until healed, which is about 5-7 days, when the colour fades by about 30%, leaving a lovely, soft, natural result. SEMI-PERMANENT MAKE-UP is a safe and extremely effective way of enhancing your natural looks, and means that you can dispense with a lot of products in your makeup bag, such as Brow pencils, lip liner and eyeliner. The result can last for years, and in the long run, saves you a lot of time, and money on cosmetics! 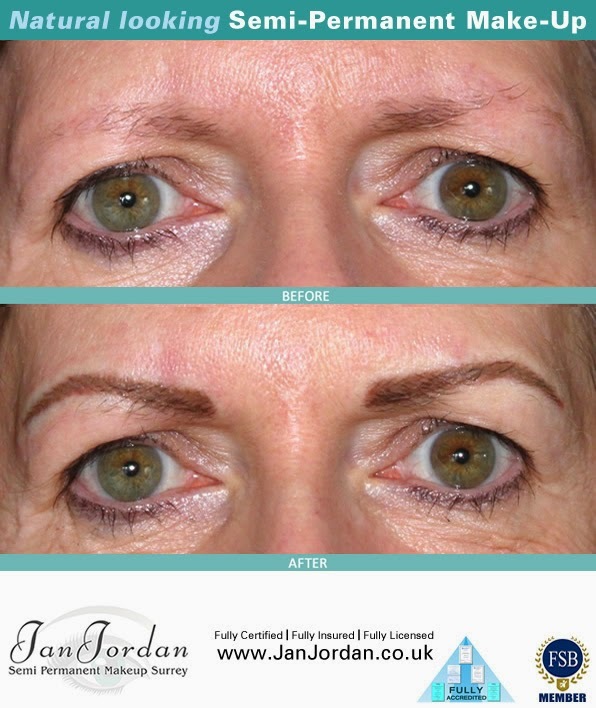 For beautiful, natural looking eyebrows, visit Jan Jordan. 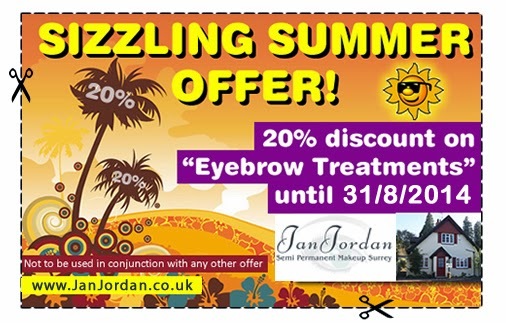 Our SIZZLING SUMMER OFFER has been extended! 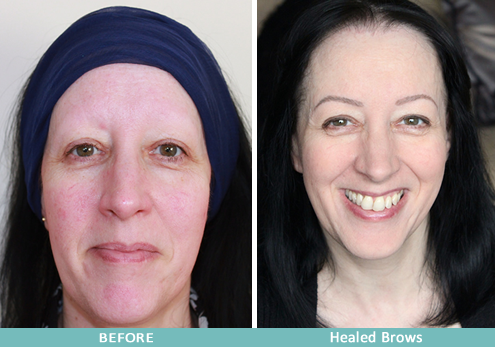 I am offering a 30% discount on “Eyebrow Treatments” for Sufferers of Alopecia, or any other medical condition which has meant a major loss of eyebrow hair!